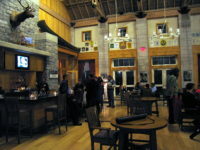 The 2nd biennial conference of the International Biogeography Society was held 5-9 January 2005 at the U.S. National Conservation Training Center (NCTC; http://training.fws.gov/), a 584-acre federal campus situated at Shepherdstown, WV, on the Potomac River approximately 85 miles northwest of Washington, D.C. The NCTC campus is suffused with a conservation theme, both philosophical and practical, and served as an excellent forum for IBS 2005 and its theme – Conservation Biogeography. Attendees totaled 117, coming from 14 different countries. The structure of the 2005 meeting was much like that of the inaugural meeting in Mesquite NV, with five symposia (consisting of five invited speakers each), and formal poster presentations over the 3-day period (6-8 of January). Registration, tool-based workshops, naturalists led walks, and a society mixer were held on January 5. 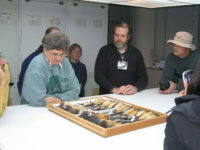 An optional field trip for a behind the scenes tour to the Smithsonian Institute was held on January 9.